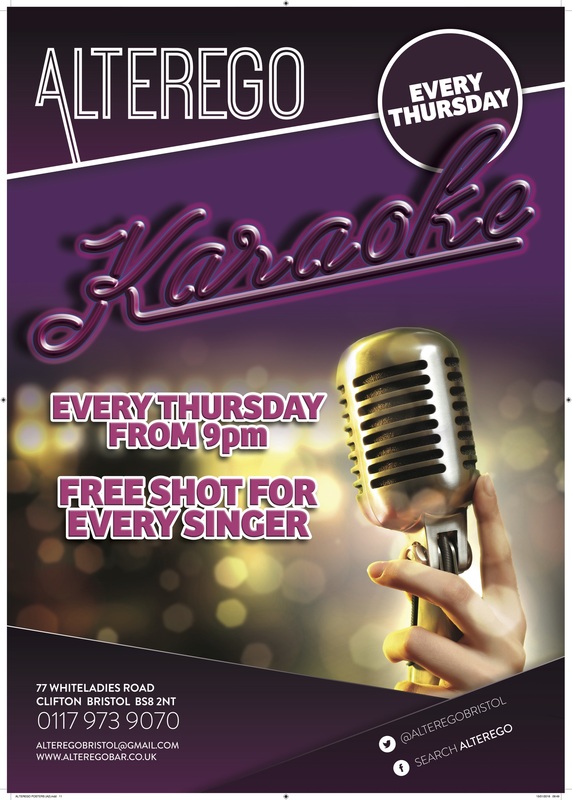 Venue hire & Karaoke room. 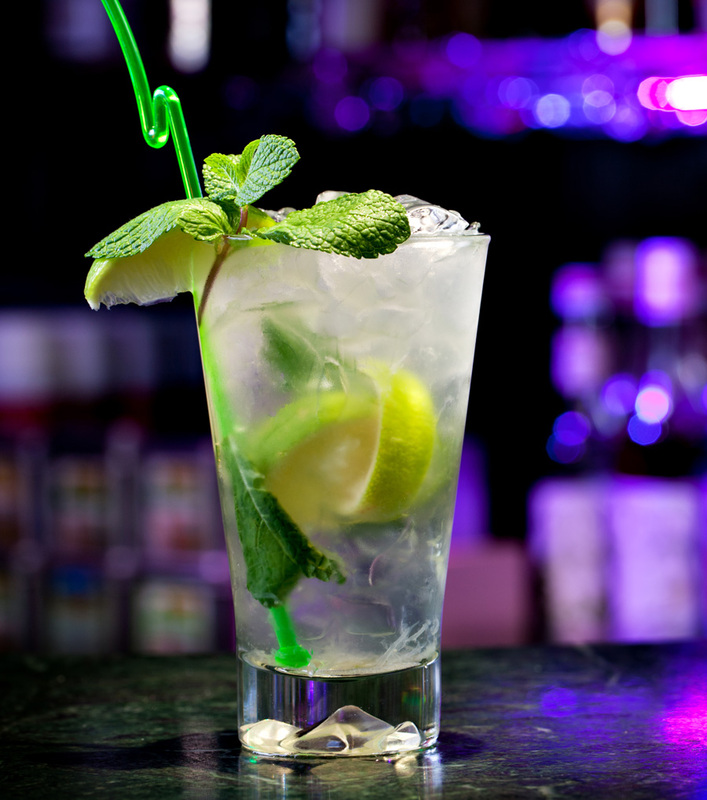 Bristol’s best party venue, and the heart of free venue here in bristol, Alterego cocktail bar. Welcome to Alterego, the premier sports and Cocktail bar. Established in 2003, Alterego has fast become one of Clifton’s finest venues situated in the heart of the “strip” on White ladies Road. We offer friendly service making it very easy to become one of the locals. Open from 3pm to midnight (12.30 AM at weekends), Alterego is the perfect venue for a quick drink after work or a late night drink with friends. 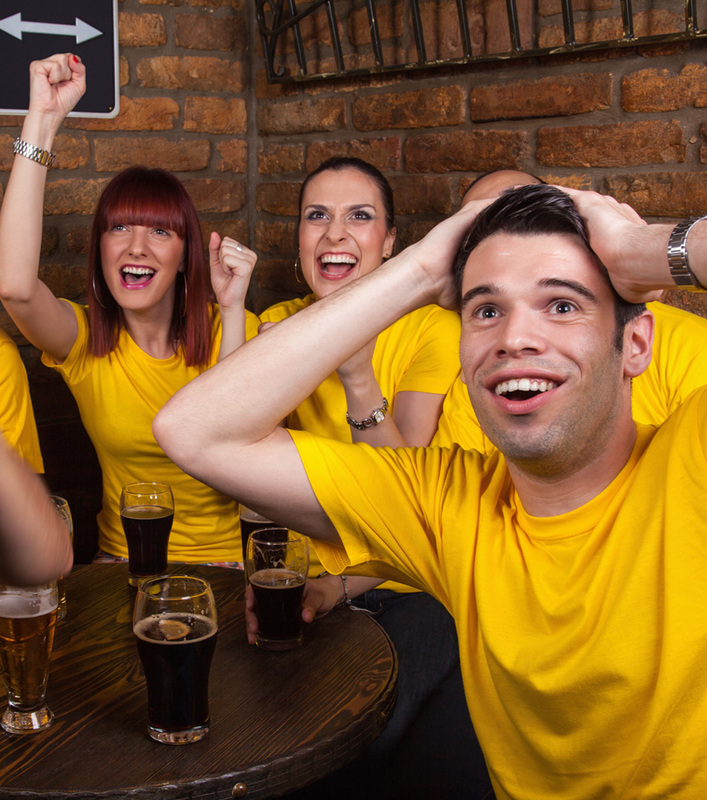 Here at Alterego we cover a fantastic range of live sport. We provide up to 5 different games at the same time and of course cover every live major sporting event on our 15 Ultra HD screens, including 2 large projectors, split over 3 levels. 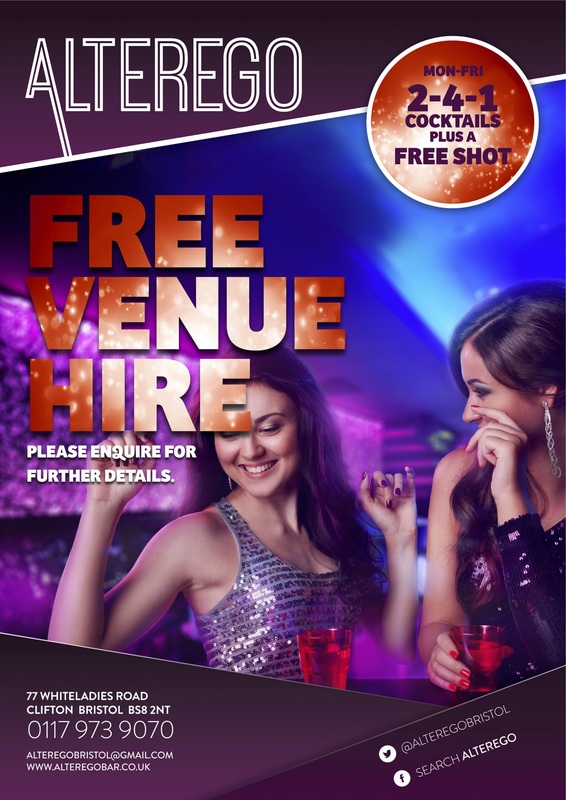 Alterego free venue Hire!! Back in 2006 Alterego became the first bar on the strip that was available to hire the venue for FREE! So if it is a Birthday, Christmas or Office Party, or just a get together with friends then look no further, Alterego will prove to be the perfect venue for you. Check out our venue hire page or call 01179 739070. We have an amazing function room with its own bar and sound system. Believe or not this area is totally free to hire 7 days a week. We even provide a free mobile bar service for, weddings birthdays or corporate events. Alterego Cocktail making lessons are the Number 1 party activity. Anyone who drinks cocktails will know there is an art to it and you can’t just throw everything together and hope for the best. 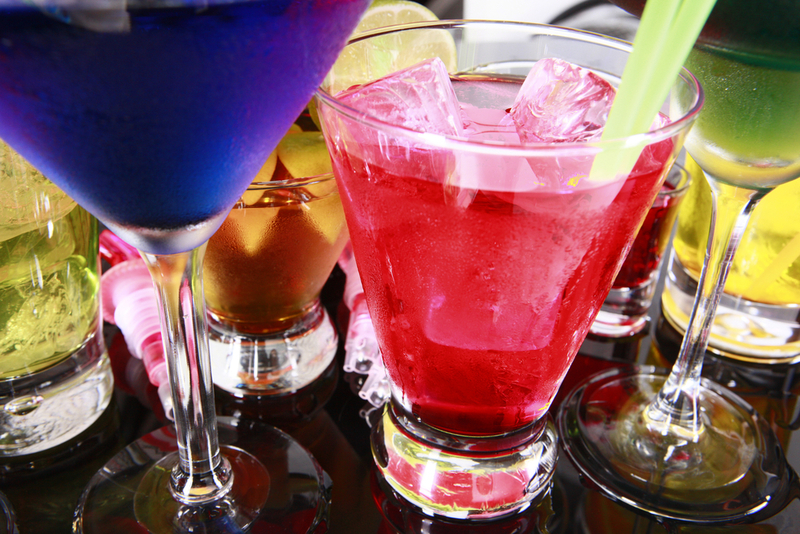 If you want to know all the secrets of the trade then our cocktail making classes are perfect. 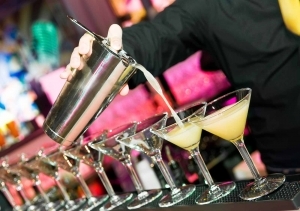 See our Cocktail Lessons & Classes page for more details. The perfect way to celebrate your hen or stag night, birthday or simply spending the evening with friends trying your hand at something new! 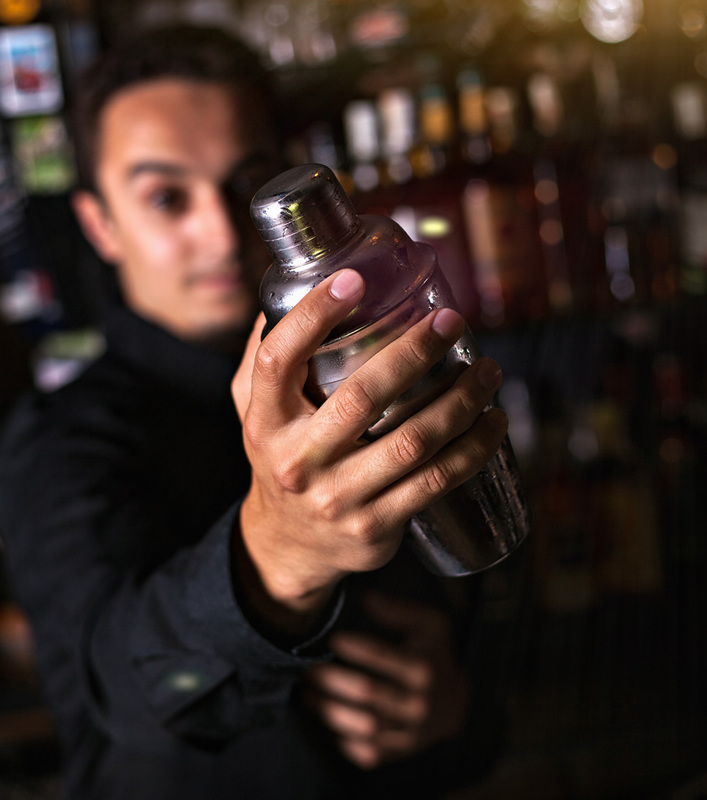 Our cocktail making lessons are led by highly trained, charismatic bar tenders ready to show you how to make some tantalising cocktails complete with plenty of laughs! It’s the perfect party experience to keep your guests not only entertained, but skilled! Alterego is number 1 for cocktail making lessons in Bristol, don’t take our word for it, please see the reviews on trip advisor. We can even provide a cocktail making lesson in your own home. Alterego students…. Here at Alterego we have been catering to student groups since our inception, with our 30 percent students discount and our sponsorship of several major societies and sports teams, we have become the number 1 student bar on White ladies Road. If you would like us to sponsor your society, don’t hesitate to give us a call .